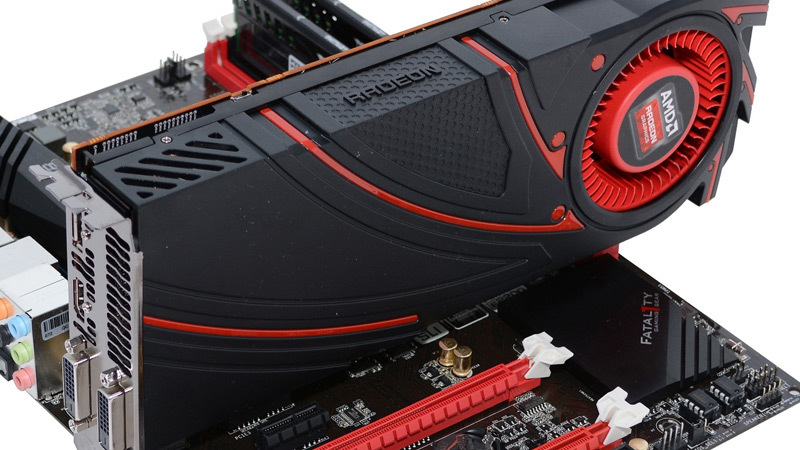 AMD has quietly launched a new range of graphics cards designed for OEMs and system builders that fall under Radeon 300 series branding. Like with the HD 8000 series a couple of years ago, these cards are essentially all rebrands of existing Radeon 200 series products, and won't be available through retail channels. The highest end OEM product is the Radeon R9 380, the very same graphics card seen in HP's latest Envy desktops that we speculated could be a next-generation GPU. Unfortunately this isn't the case, as the R9 380 is a basic rebrand of the R9 285 from AMD's current range of graphics cards. The rest of the OEM range are rebrands of either R7 or R5 series cards, the oldest of which is the R9 370 that uses a Pitcairn GPU first introduced in the Radeon HD 7850 released in early 2012. As you can see from the table above, many of the rebranded cards have received minor spec upgrades, though performance shouldn't differ hugely from their predecessors. However not all of the cards support the same features: the R9 380 and R9 360 are the only cards not based on AMD's older GCN 1.0 architecture, meaning they're the only cards to support FreeSync, TrueAudio, and CrossFire without a bridge. There's the possibility that AMD will release these GPUs to the retail market virtually unchanged from the OEM versions. It's unlikely that the company would release a retail R9 380, for example, with a different set of specifications, so any new GPUs from AMD will almost certainly be released under different names. And as for those new graphics cards, AMD is gearing up to launch a selection of flagship GPUs this quarter, complete with High Bandwidth Memory. Computex is just around the corner, so expect to see these new GPUs in early June.